Buy: McNally Robinson | Barnes and Noble | Check your local bookstore! A couple of weeks ago I was at the library browsing for books, something I hadn't done in a long time. One of the types of books I was looking for sort of naturalist books, I suppose you could say. I picked out two wintry books, this and another I still have to read. Falling for Snow is, quite simply, exactly says. Okay, I've been writing this post for weeks and I'm gonna wrap it up quickly now so I can take this book back to the library: There was a section about various blizzards and how different places dealt with them and I was waiting for the Toronto snowstorm heading, because I figured that would have to be in there but there was no subheading and I was kind of disappointed until I turned the page and saw that Toronto got there own heading, haha. I like hearing about Toronto's snow problem, makes me feel nice and smug. I liked that chapter about the different writings on snow, the poetry and the bits of prose. I liked the story about James Glashier (crazy man. somebody should write a fictionalized account about him...). 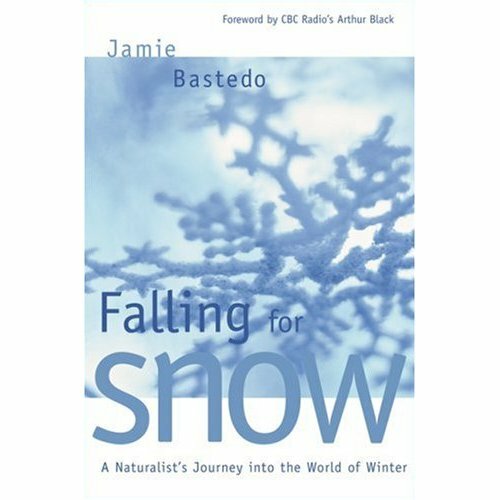 I liked all the different knowledge/information about snow contained in this book. A good read with lots of different perspectives on the subject.